Looking for the perfect tongue-in-cheek award for the biggest "Drama Queen" in your life? Look no further, theDrama Queen Trophy is here! 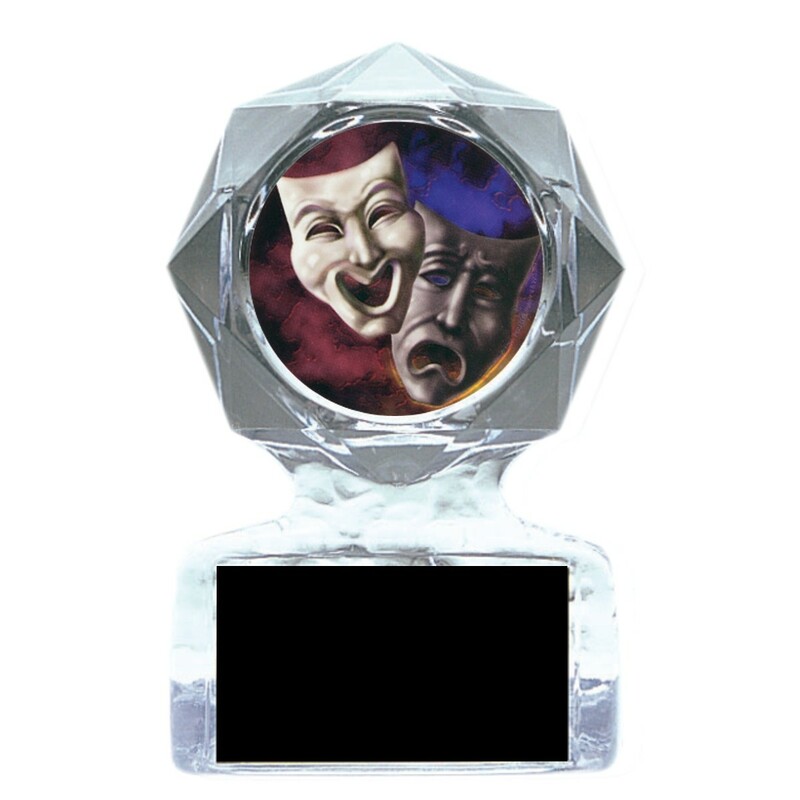 This humorous trophy features a 2-inch holographic insert of the most recognizable symbol of the dramatic arts: the juxtaposed masks of comedy and tragedy.